BESA Research provides many tools for reviewing and processing of your EEG or MEG data. 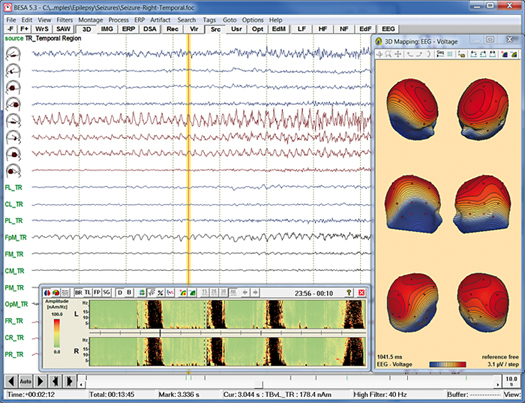 Raw data are directly read using readers implemented for many EEG and MEG file formats. Data processing steps include digital filtering, artifact detection and correction, computation of correlation and spectral analysis. All these steps can be performed easily with a few mouse clicks. A variety of different display options allows for convenient review of your data.